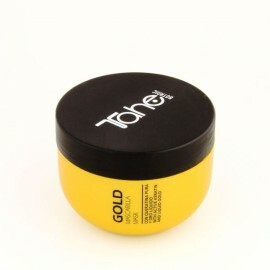 Elixir for hair, with Liquid gold and Pure keratin. Strengthening treatment for shine and nourishment. Intense thickness, regeneration and nourishment for hair. Infusion of multiple high effect active ingredients. Regenerates after sun, pollution and chemical damage to the hair’s fibres, with a combination of pure keratin and gold particles to replenish the damaged cuticle. Maximum nourishment from the liquid gold fusion of natural protective argan, flax seed and jojoba oils, creating “the most valued oil in the world”. 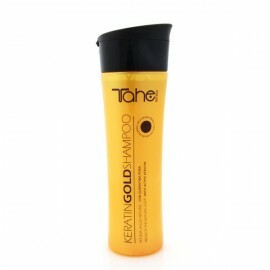 Wash hair with KERATIN GOLD SHAMPOO. PHASE A. Instantaneous effect. 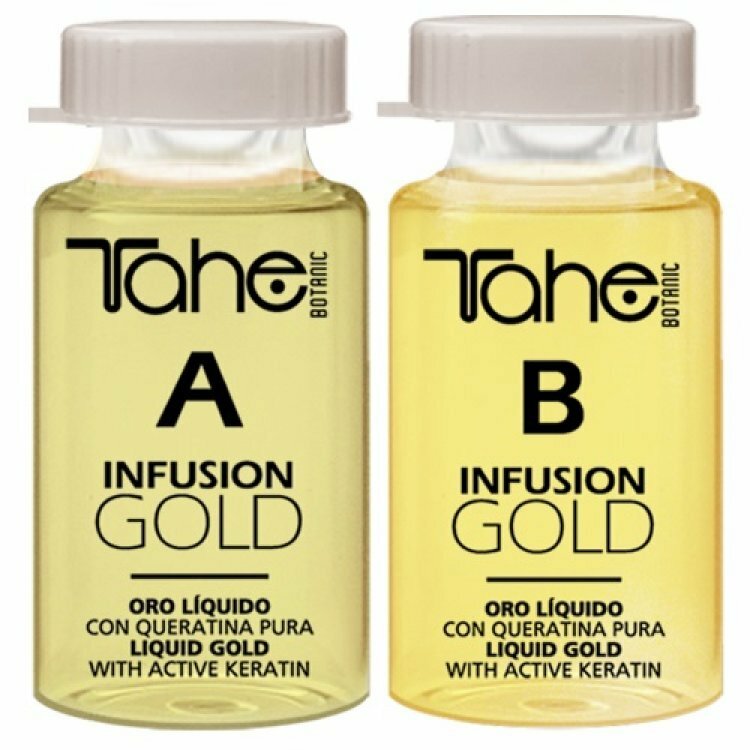 At the wash basin apply INFUSION GOLD PHASE A to wet hair, using the application tube and paying special attention to damaged and dehydrated areas. Massage in through the hair and scalp, de-tangle, and rinse thoroughly. PHASE B. 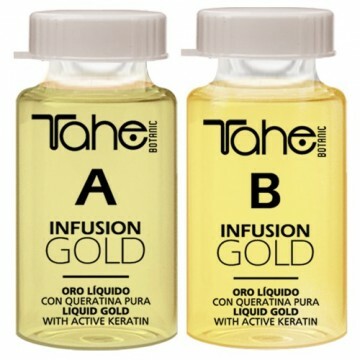 At the work station, apply INFUSION GOLD PHASE B to damp hair, using the application tube. Begin at the mid-length and ends and paying particular attention to damaged and dehydrated areas. Comb through to distribute the product evenly. Do not rinse.